With Aprilaire Zone Comfort Control units, you obtain temperature control throughout your entire home. 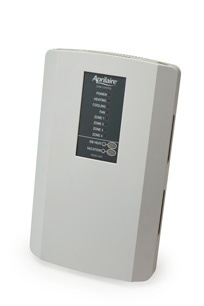 Aprilaire offers 2-, 3- and 4-zone panels, therefore you only purchase the exact number of zones needed. By controlling your home's temperature, you can save money while enhancing the comfort in your home. A thermostat located on each floor ensures that heated or cooled air is delivered to one floor at time. This allows all levels of your home to be a customized temperature. A. Borrelli can install all Aprilaire Zone Comfort Control units in your home and make your air as comfortable as possible.